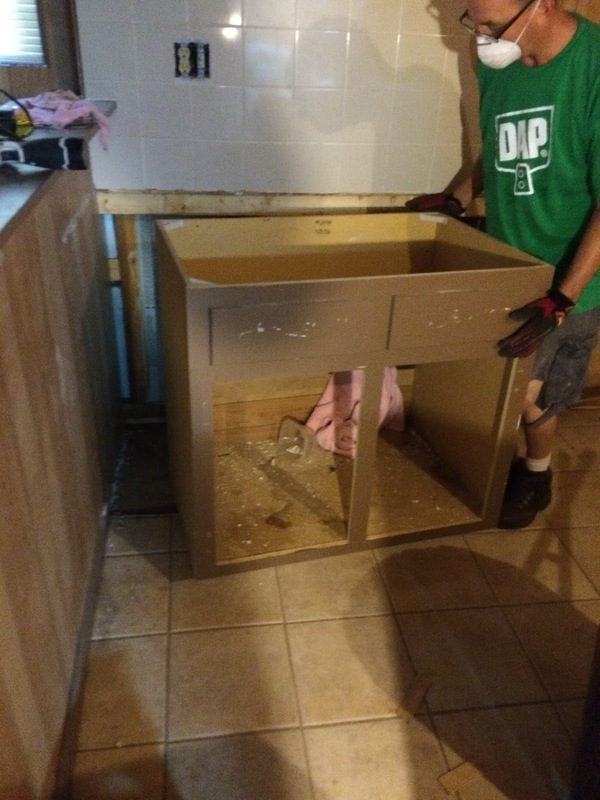 I know it has been a while since my last update, but this summer we did not make a lot of progress. We are rolling again since we got a little help from a friend and the pool is closed for the winter, so I will have some more updates for you! 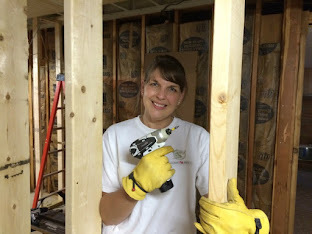 In my last update, we finished the wall framing and also tore down the drop ceiling structure. 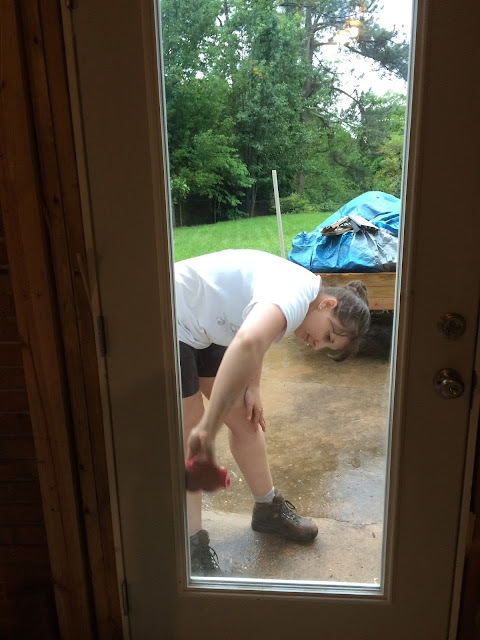 We took a break after completing the never ending framing to focus on replacing the entry door and tiny window, before the weather turned cold. We enlisted the help of our carpenter friend, because cutting a hole in the side of our house kinda scared me. I am sure we could have done it, but having it done all in one day was worth the extra money. You may remember me talking about our Habitat ReStore haul in a previous post, where we scored a full view entry door and larger window. 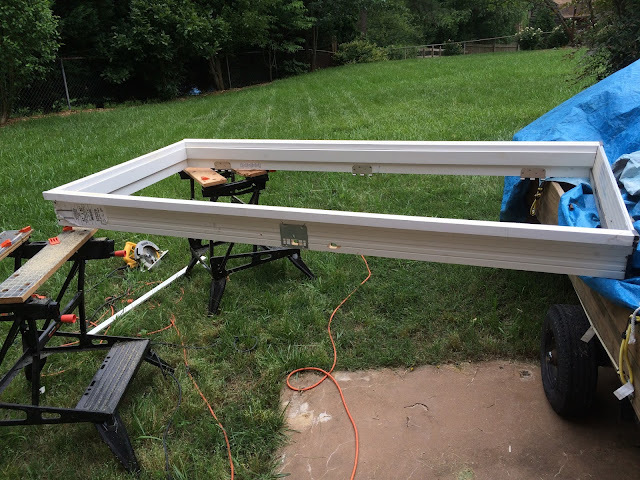 We also picked up a couple of door frames for $0 off Freecycle (a craigslist-type site for free stuff) that we are using for the entry door and the new door going into the garage from the mudroom area. There was a tiny window in the old bathroom area which we wanted to enlarge to take advantage of the natural light. We also wanted to change out the solid door for a full view glass door and remove the storm door. 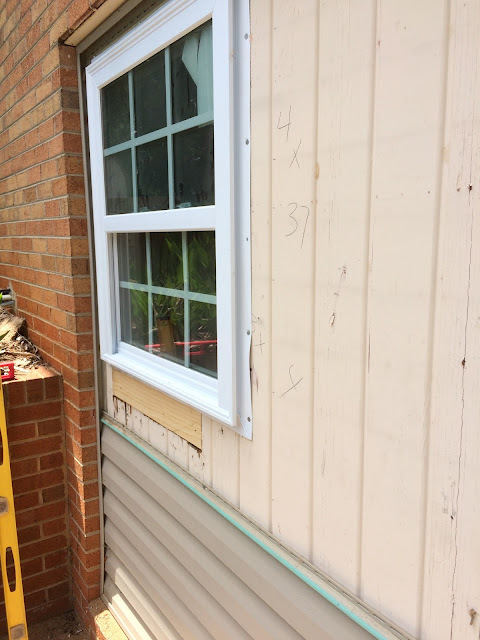 As you can see the below, the new window is about twice as wide as the old one. We had to do a little rearranging to the hinges and lock plates on the door frame and the jamb to accommodate our door, but it was cheaper than buying a new door and frame. 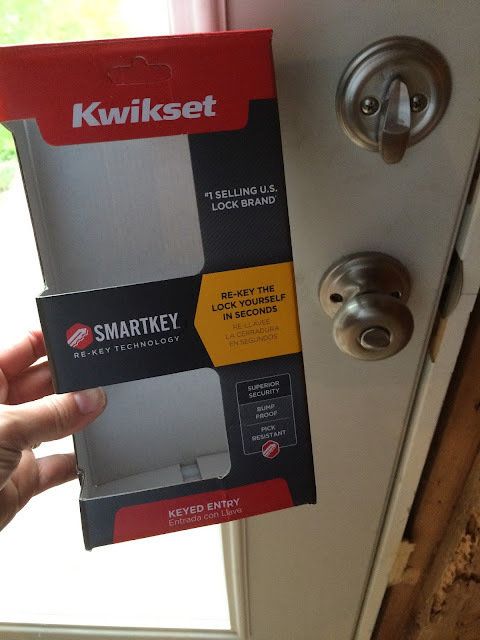 We chose this Smartkey lock set from Kwikset because it allows you to re-key the lock to match your existing keys. This saves you from having to replace all the door locks to get them to match! 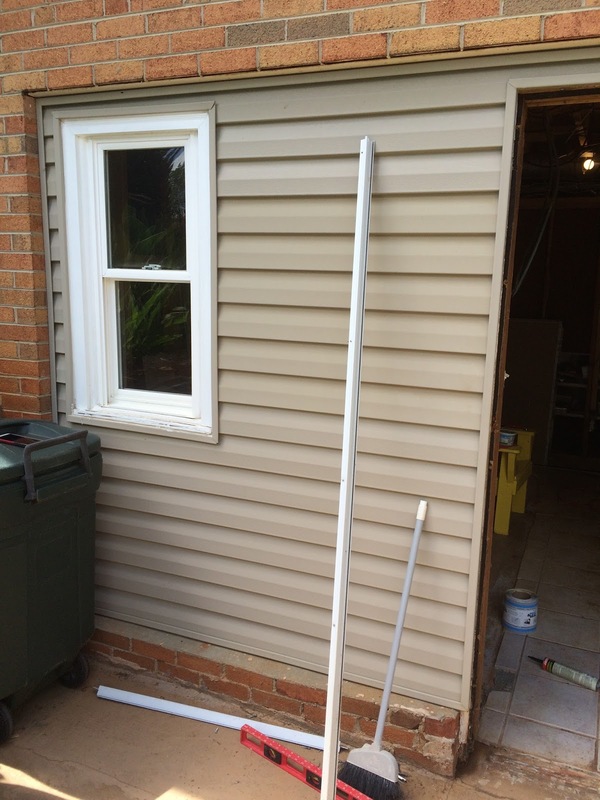 We also did this with our carport entry door earlier in the year. 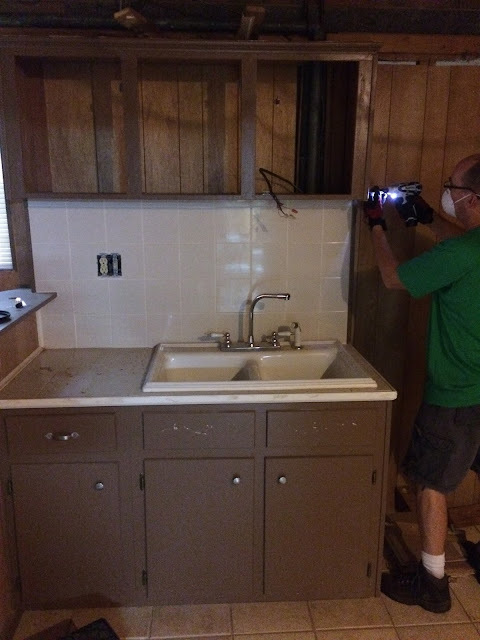 Our other project was finishing the demo on the old defunct kitchenette, so we can start hanging drywall. 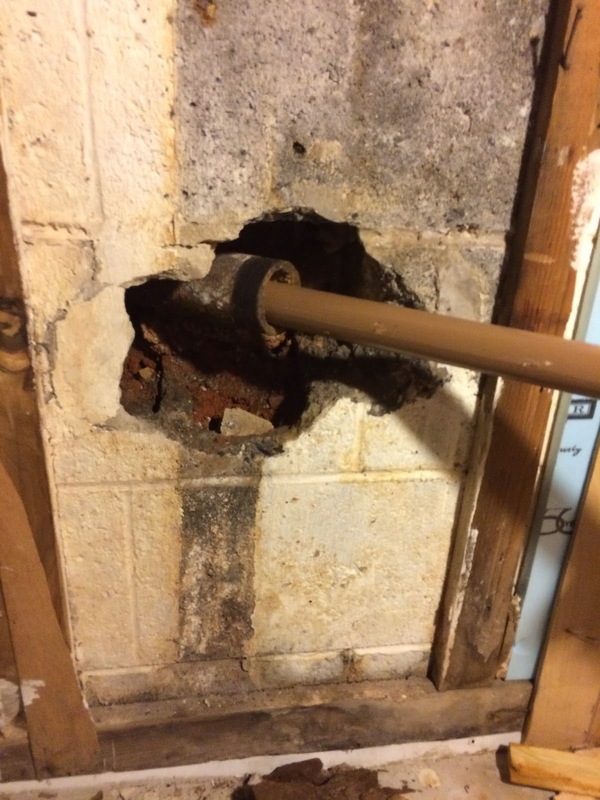 We left this till last because it involved capping off and removing the old plumbing and filling in a giant hole in the cinder block with concrete, where the plumbing went out to the old septic tank. I can finally see how large and open the living space is going to be now that we have the knee wall gone and the kitchenette out. 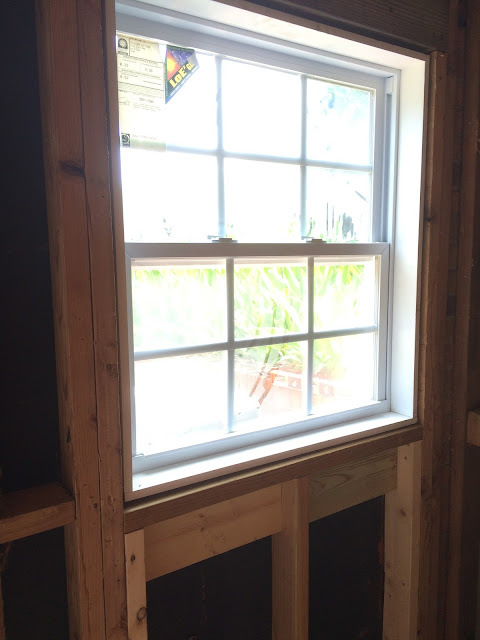 There is also a huge difference in the lighting down here with the natural light coming in the new door and window. 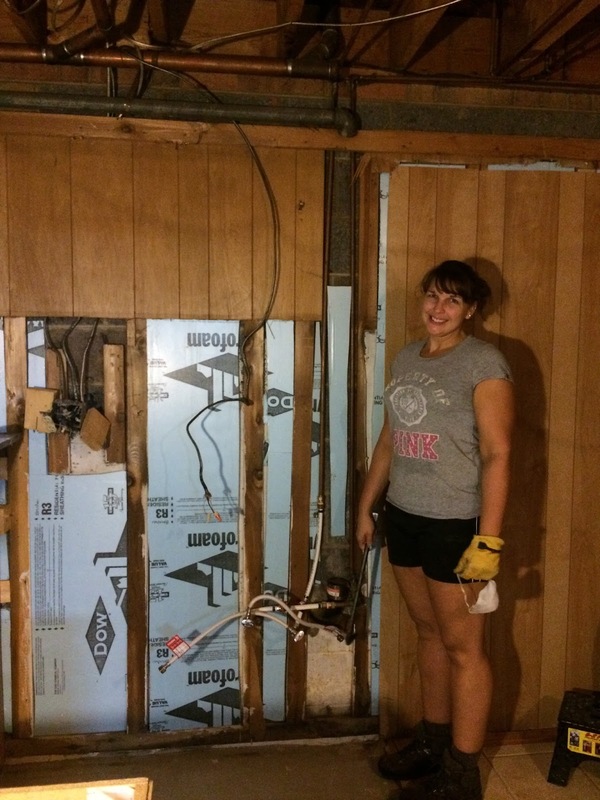 Next we start hanging drywall and I can't wait to share those pics because the space is finally looking finished!